If the CRS16 booster was out of control, how did it abort to water? The CRS-16 missions first stage, seems to have had a stuck grid fin. Apparently a hydraulic pump failed. It was spinning fairly wildly and clearly did not try to land at the pad as it was scheduled. How did they abort to the water if they were so out of control? 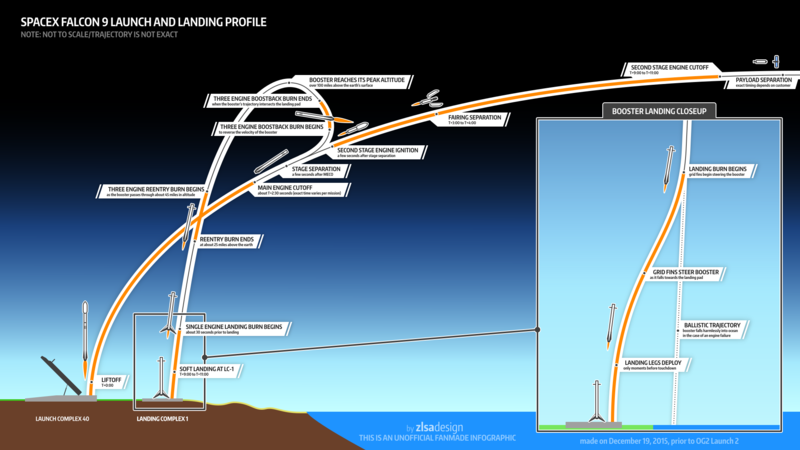 Here is a graphic og the ascent and landing profile that shows the default to water trajectory, with the "corrected" landing if the computer determines all is well. To be fair, I asked, so I could answer, so it would be ready when people come looking. SpaceX aims at the water, away from the actual landing point (pad, barge, whatever) and only diverts if all is going well. They thought about this exact circumstance in advance and it worked well. They did not need to divert away as they were not yet aimed at the landing pad. This can be seen when the Falcon Heavy center core failed to land on the ASDS OCISLY earlier in 2018 it was aimed off to the side, and ran out of fuel to divert to the actual barge surface. Not the answer you're looking for? Browse other questions tagged spacex falcon-9 landing abort or ask your own question. Dragon Pad Abort hot fire, how much cleanup work was needed? How will the Dragon 2 perform a pinpoint landing without aerodynamic controls like the F9R did? Is it probable the Red Dragon will successfully land on Mars on the first try? Could a Falcon 9 booster “abort” a landing, then land shortly thereafter, or somewhere nearby? Why did they not use the Flight Termination system on CRS16 booster? Why would a space shuttle have flown a normal first-stage and early-second-stage ascent trajectory during an RTLS abort?